Call Ticket Defenders®* at 1‑866‑801‑8299 to speak with a knowledgeable, professional paralegal that can answer any questions you may have about defending your Careless Driving Charges, Stunt Driving Charges, Speeding Tickets, Seatbelt, and any other traffic tickets in London, Ontario. Our London traffic ticket defence experts offer a no obligation, free consultation - call us to arrange for yours today. We are the experts in defending all Highway Traffic Act charges: Speeding charges, Careless Driving, No Insurance, Drive Suspended and other traffic charges. 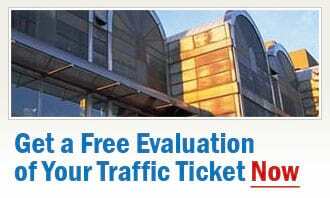 Ticket Defenders®* has the most highly trained, respected traffic Court Agents in Ontario. Any traffic charge is worth fighting to protect your driving record, demerit points and your insurance rates, so contact our London traffic ticket defence experts today and we will go over your charge and explain your options to you. We will not give you unrealistic guarantees intending to mislead you (no one can predict the outcome of a court case with absolute certainty). Our London experts on traffic tickets will analyze your case and then give you honest, professional advice on what can be done to get you the best result.